we’ve recently found a wet market near us that sells about 4-5 different varieties of lettuce, and one of them is butter lettuce. they are so tender and sweet that eating them has become our new addiction. we usually drizzle a citrus vinaigrette over it, but today we’ve decided to dress it with something different. 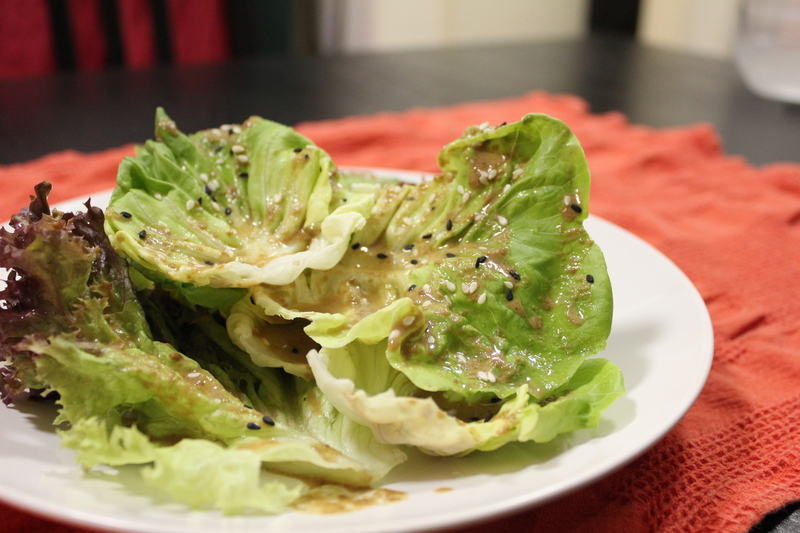 seeing how there’s a whole new jar of sesame paste in the cupboards, we created a sesame dressing for these buttery greens. I love the flavor of sesame seeds. Is the sesame sauce the same as tahini or does it have other ingredients? 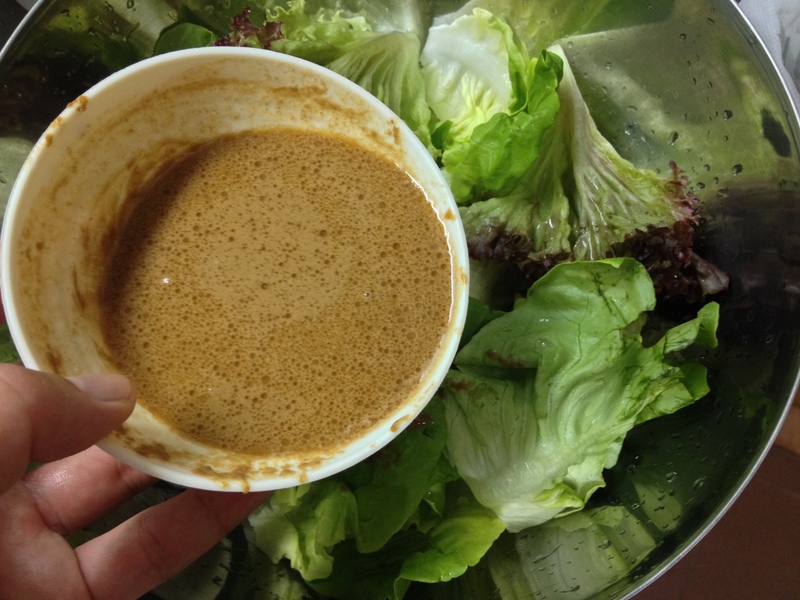 yes tahini is a great substitute. usually you can find the sesame paste or sauce at the asian supermarkets. I’m sending friends and family cabbage graters from Japan for the holidays with a few dressing recipes, this one included. Thanks for sharing! oh that’s awesome, thank you! 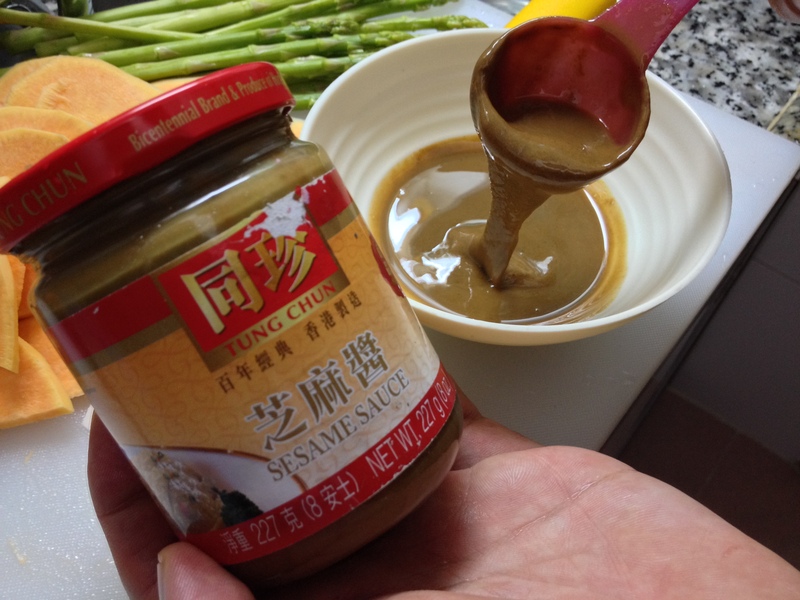 Interesting & yummy, I will look for the sesame sauce the next time I visit an Asian store! Would I most likely find it a Chinese store? When you say soy sauce, which one? Can you give me a crash course about different Asian soy sauces pls 🙂 ? (or better, make it a post pls 🙂 ) Thanks! yes you will most likely find this in any large chinese supermarket. or, you may substitute it with tahini, which is basically the same thing. as for soy sauce, we used the regular one haha. guess regular is too subjective. for cantonese cooking, there’s basically two types that we use, regular soy and dark soy. the regular one is usually labeled as light soy sauce. the one we commonly use is “pearl river superior light soy sauce”. the regular soy is used for everyday cooking, basically used to season dishes. the dark soy is used more for braising. dark soy has more flavor since it’s concentrated. it will definitely darken your food.so that’s why for normal stir frying, people use regular soy just for flavor. and braising stuff like pork or fish, people use both regular and dark. Thanks for this crash course on soy sauce 🙂 If I may ask one ore thing, when is the sweet soy used and by which type of Asian cooking? I see it at Japanese restaurants but do e.g. Chinese use it too? sweet soy is usually used in south east asian cooking, especially in thailand. there’s one very popular noodle dish called pad see ew that uses sweet soy. in cantonese cooking, there’s a variation of that, it’s sweetened soy sauce that we use to drizzle over steamed fish.